There are so many peonies on the market it can be difficult to choose but one with this quality needs to be in many gardens. 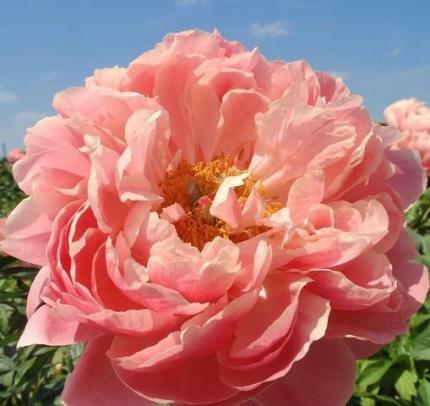 Strong stems growing to 90cm tall are covered with breath taking semi double fragrant deep coral flowers fading to a delicate pale coral and lasts longer than most peonies. All peonies love rich deep soil and sunniest spot in the garden.